The time between Christmas and my birthday (January 27th) is when I take stock of things, try to relax enough to recalibrate my instincts, and think about where I’m headed next. It’s been a year since the Zero Launch Party – a year filled with gratitude for all the friends and Patreon supporters who came out to my shows, bought copies of my sheet music, and lent their support toward the production costs for the first few pieces of my song cycle. Earlier this year, The Lantern (Ohio State University’s student publication) published a piece on a group I started 6 years ago called the Fearless Performance Workshop. In the article, I more-or-less made it public that I suffer from stage fright, but it’s something that I’ve learned how to work through with the help of my peers. Learning to perform is like exercising a muscle – you have to do it repeatedly to get strong at it. The workshop has been providing low-stakes opportunities for people perform in front of an audience of peers in order to exercise that muscle. It was nice to get some recognition for these efforts. 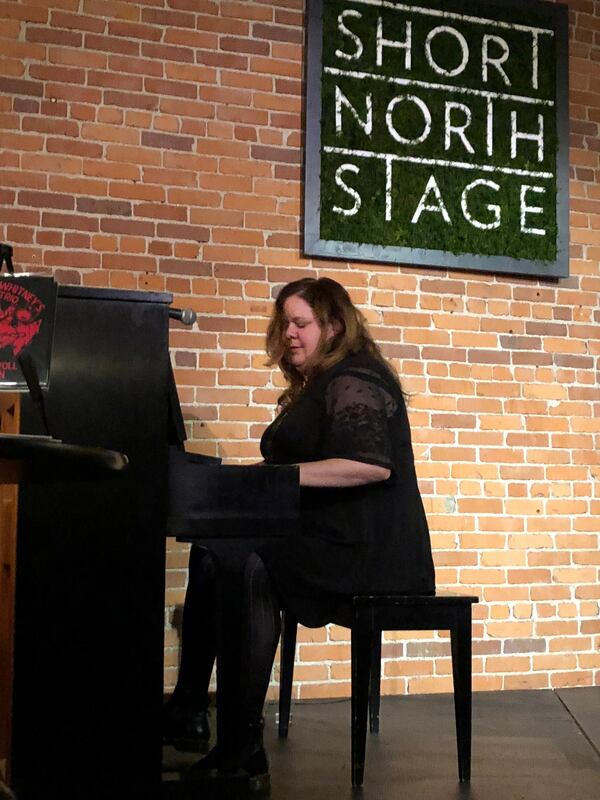 Throughout 2018, I completed an 8 night/12 show run of pre-shows for The Rocky Horror Show on the Steinway in Ethel’s (Short North) Stage Left Lounge, about a half-dozen shows on the baby grand at Club Diversity, and a couple of house concerts hosted by friends. This year alone had me doubling the number of solo performances that I’ve done in my lifetime! I learned a lot from these experiences – and I still have quite a bit yet more to learn – but I emerged with a much thicker skin as performer. I haven’t set any more dates for 2019 shows just yet. The weather has gotten cold, the nights are long and I’m feeling pulled toward the woodshed. There are still 14 more pieces to complete for the song cycle, and to this end I still have a handful of lyrics from my time in Delphi, Greece left to set to music. The piano tuner was at Whitney & Ventola Music Studios over the weekend, and the holiday cruds seem to be behind me, so tomorrow I begin the “Monday of all Mondays” with a freshly tuned piano, a nice new set of studio microphones, and the desire to sharpen my production skills. New year. New material. New recordings. That is the goal.